grouser (Ludlow, United Kingdom) on 28 December 2016 in Plant & Nature. Lovely sloping street!! And beautiful blossoms on the bush! A very charming and welcoming place / image. These plants are are really nice. I lived in Albox Spain for a year and had one of these outside the house. I love the paved street in this excellent shot. 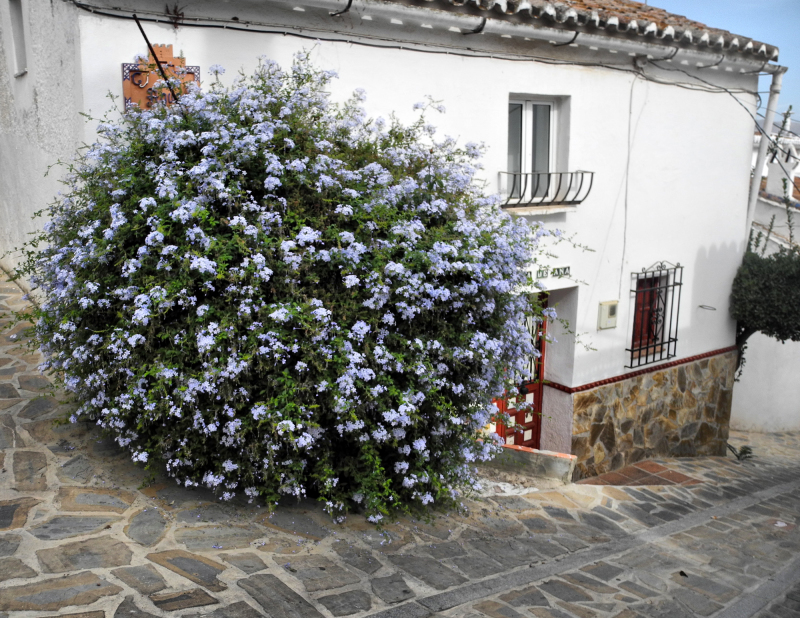 A beautiful flowering bush. Very nice shot. A colorful bush that softens the hardscape that surrounds it!! I love the patterns in the stone drive here. This plant is stuck but surely it is beautiful and pleasing.